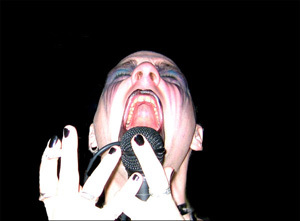 Initially a solo project of Peter Lee (Force of Nature Productions), Bereft created a dense, rhythmic blend of death industrial and power electronics. In 2008, Andrew Grant (The Vomit Arsonist, Danvers State Recordings) joined Lee as a full time addition to the act. Now a two piece, Bereft is stronger than ever, spewing forth more structured and focused sounds than ever before, with Grant and Lee collaborating on the music, and Lee writing the lyrics. Lyrically, the band has a mission, a statement: but a live performance must be witnessed to truly understand the intent of the act. Harsh noise project of Daniel Burfoot hailing from Dresden, Germany. Active since 2006, 2 Tapes, 1 CDr, 1 mini cd. Established to create extreme sonic terror in times of extreme mental distress. Playing numerous shows in and around Germany with Fire In The Head, Burn Ward (Benjamin Nelson), Grunt, Sektion B, Shift. BT. HN. (La Bete Humaine) is Sam McKinlay (The Rita), and Josh Rose (Sick Buildings). Initially in 2005, BT. HN. (originally known as BA. KU.) 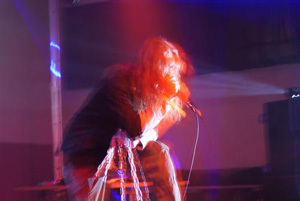 was a solo side project of Sam McKinlay that was focused on and inspired by the ritual, violence, and controlled chaos of Black War Metal; but via the means of the Power Electronics medium to exemplify the coarse power of harsh noise coupled with heavy themes of controlled structure and grating vocal approaches by also drawing PE influence from artist Iugula Thor. More or less, BA. KU. represented the wider ranging and more dynamic manipulations of sound that McKinlay’s harsh noise project The Rita didn’t want to focus on. After the name change to BT. HN., the structures of sound began to reflect more influence from the likes of classic italian sound masters M.B. and Mauthausen Orchestra with a concentrated parallel with the initial PE stylization and technique, but with even more of a structured and dramatic approach to the tracks, thus evolving into more of a virtual story telling medium. After fellow Canadian noise artist Josh rose was officially indoctrinated into BT. HN., the PE / classic industrial style project has developed even more into obsessed lines of throbbing analog electronics coupled with the sociopolitical themes of early industry and repetitive cultural violence; which isn’t a far cry from the original intentions of BA. KU., but with a much more developed system of plot development via waves of harsh sound. 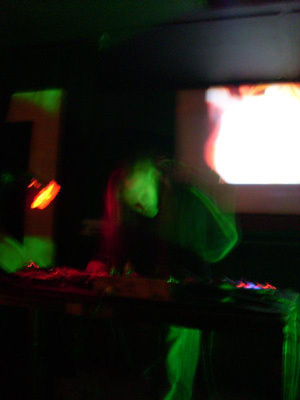 Burn Ward was the harsh noise project of Benjamin Nelson. 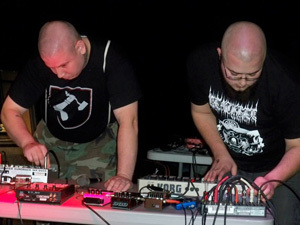 Featuring themes of emotional outbursts and cathartic energy, Nelson performed as back up electronics during live assaults with the power electronics project Fire In The Head. Burn Ward toured Europe twice externsively and the U.S. several times as well with the likes of 2673, Pedestrian Deposit and Oscillating Innards. Nelson now performs heavy modular synth drone under his own name and has a slew of secret-anonymous releases on labels that will not be named here. Fire In The Head was formed in early 2004 by Michael Page. 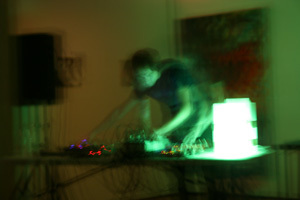 After performing live several times as a guest member of a friend’s power electronics unit Michael was inspired to begin work on his own harsh electronic project combining aspects of noise, death industrial, drone, dark ambient and power electronics yet setting no genre boundries that might limit the project’s development. 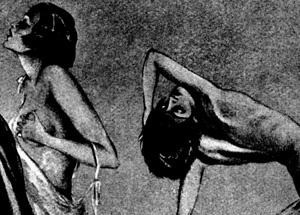 F/I/T/H was conceived as a cathartic outlet to explore and ratify the delusions and social perversions resultant of psychosis and the darker side of man’s conflicted dual nature. Fire In The Head is the sound of everything and nothing, the unbearable cacophony that exists in one’s head when there is no external noise, the flame that burns the borders between obsession, compulsion, lust and need. 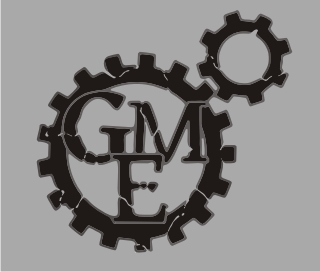 GM Electronics was born in 1999 as a not very serious “bedroom noisecore” affair that later on evolved into a more or less traditional one-man experimental/noise project. Mostly focusing on sound exploration and atmosphere, GME takes advantage of the vast possibilities of software modular synths and other instruments to create evocative soundscapes, leaving it largely to the listener to come up with his own interpretation of the recordings. Inspiration is drawn from a number of sources, including technology, nature, mythology and daydreaming as well as real-life events and situations. 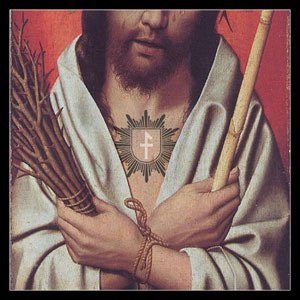 Dark/power electronics project of Daniel Burfoot hailing from Dresden, Germany. 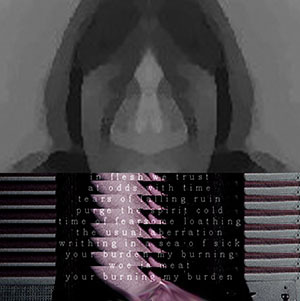 Active since 2005, exploring darkest obsessions and obsessiv behavior on inter-personal levels. Shedding it’s skin, revealing it’s hideously beautiful inner worthlessness, walking the path of solitude in search of the perfect womb cocoon. Just recently taking this project to the stage with artists like Shift, Mezire, Strom ec. Future releases are in progress. More ambient/industrial project of the prolific and enigmatic Andrew Powell. Hailing from the great state of Pennsylvania, Powell is the singular man behind the projects Lackthrow and A Hymn For Her. The sound of Internal Empty ranges from minimalist clouds of sound to harsh noise and industrial atmospheres. 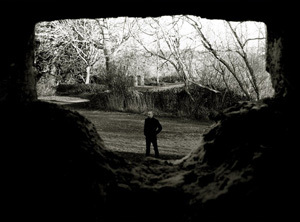 The harsh noise project of the prolific and enigmatic Andrew Powell. Hailing from the great state of Pennsylvania, Powell is the singular man behind the projects Internal Empty and A Hymn For Her. The sound of Lackthrow ranges from power electronics to harsh noise and industrial atmospheres. 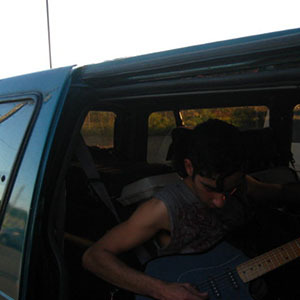 Lavas Magmas is Luis Gonzalez hailing from Portland, OR. Gonzalez also releases music under his own name and often combines video manilpulation with his sound. 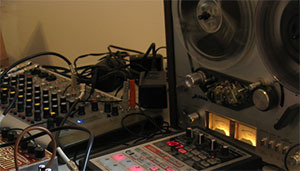 The style most often explored by Gonzalez is atmopsheric industrial and drone utilizing unique metal creations and various electronics. 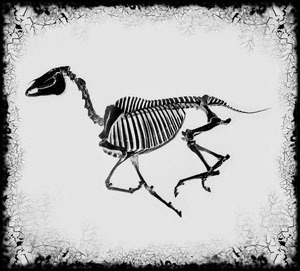 Sistrenatus is the soundscape project of Canadian musician and visual artist H. MacFarlane. Currently based in Vancouver BC, MacFarlane’s involvement with underground electronic music spans back to the early 1990’s with his previous incarnation, Funerary Call. 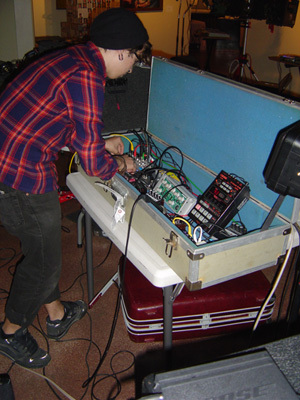 Drawing from a diverse pallet of analogue and digital hardware, audio cut-ups, field recordings, and pedal effects, Sistrenatus creates music ranging from ambient, drone, noise, and beyond. Over the years he has released numerous albums and EPs on labels from around the world and continues to do so with Sistrenatus as well as other collaborative projects. Sky Burial is the industrial/ambient/drone project of Michael Page, whose other projects include Fire In The Head and Irukandji. Sky Burial focuses on issues of mythology, the occult and other personal interests of Mr. Page. Stratvm Terror is nothing but the harsh side of Peter Andersson, here also joined by his mate Tobias Larsson. This project first appeared in 1993 and have since then become an impressive industrial noise monster machine of terror. After a few tapes and several CD releases this project has almost reached the same acclaimed status as Raison D’être. Stratvm Terror offers agressive and loud frequencies for the whole spectrum of the ears that will play havoc with the brain. Verdant is Zach Adams an isolated artist originating from Ohio. The sounds of Verdant encapture dusty corners and whispered promises in the form of delicate and minimal power electronics. He also creates noise of a harsher variety as BKPR, a project which meanders into more experimental territory. Xiphoid Dementia is the electronic music project of Egan Budd. Recordings began in 1999 and despite infrequent collaborations Xiphoid Dementia has remained a solo project. Xiphoid Dementia is the exploration of my inner personal love, hate, fears, longings, doubts, hopes, dreams, ideas, theories, and philosophies many of which can only be expressed through the abstract form of noise.